Samm Henshaw is a name to watch out for. The London performer is still young - only 22 years old - but already he carries himself with the assurance of a much older, more established artist. Each show feels like a genuine performance, with Samm pouring his heart and soul into each and every note. 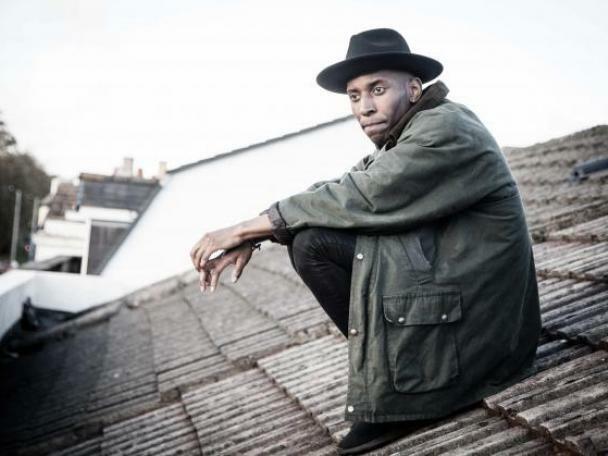 Set to take part in Liverpool International Music Festival this weekend, Samm Henshaw sat down with Clash to discuss his Influences. If you know anything about my musical taste you’d know I love soulful music and Tingsek is for me one of the most underrated soulful voices around, his songs are forward thinking which I love, its almost like a hybrid version of soul, taking some of the classic parts of the genre and putting his own spin on it. Gotta love this man! This guy has my favourite voice around at the moment; country artists have played a massive influence on my music from the story telling to their actual vocal ability. In another life I’d have been a country artist! This song in particular has so much emotion you can almost feel every word he sings, this typifies everything I love about the genre. Songs like this inspired redemption off the first EP. Israel is my guy, but even if you don’t like gospel music, the intro to this song will just grab you, the instrumentation, the bounce of the music, the overall vibe for me just banging. A lot of the energy in my live shows comes from the gospel influence in my music, we try to recreate the same uplifting feeling when you hear my music live. Just music to stomp your feet, clap your hands and nod your head to. I know this is an oldie but its still a goodie to me, there has to be some D’Angelo in almost any playlist I make, he massively influences my music, the first EP songs like ‘Better’ and ‘Everything’ were heavily D’Angelo influenced. On the new EP I listened to ‘untitled’ before creating the song ‘Easy’. I absolutely love the ‘Black Voodoo’ album as well but I have chosen this song just for the groove alone. This is soul music at its best! I’m adding Bryson Tiller mainly because I just think I’ve listened to his album a ridiculous amount of times recently. As you can tell I’m not a fan of sticking to one genre, hence why I’ve created two EP’s entitled The Sound Experiment! For me the Trapsoul idea is so dope! If there’s not a sound out to fit your style create your own! Don’t was the first Bryson Tiller song I heard that pricked up my ears to delve more into this guy, such a talent! Liverpool International Music Festival runs between July 22nd - 24th.